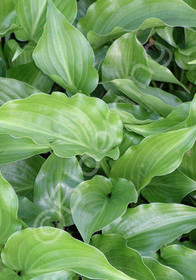 Glossy green, wedge-shaped leaves have interesting undulating margins. It forms a lovely low and wide, shade-loving border addition or groundcover. Fragrant lavender flowers appear in early summer.